Medical spas have become more popular in recent years for men and women alike. Medical spas, also called medi-spas or med spas, are a kind of a hybrid between the traditional day spa and a medical clinic. Medical spas strive to blend the best of two worlds—a relaxing spa experience with the procedures and expertise typically only found at a doctor’s office. Wondering if a medical spa is the right place for you to get your treatments done? Here are answers to some common questions about medical spas. The biggest differences between a traditional day spa and a medical spa are the types of procedures that are offered. Medical procedures that can't be done at the average day spa can be performed at the medical spa. Unlike day spas, medical spas must be affiliated with, overseen, or run by a medical doctor. While not every procedure is done by a doctor, they are performed under the supervision of the doctor, most often a dermatologist or plastic surgeon. Medical spas themselves can vary widely, depending on where you go. Some are as posh as the day spa you visited during your last vacation; others are decidedly more clinical. While day spas focus on relaxation, most medical spas are driven by results. While the menu will vary depending on which medical spa you visit, in general, you can expect to find treatments for acne, aging skin, hair removal, and more. Like at a traditional day spa, luxurious treatments like massage, salt glows, seaweed wraps, and facials can be had at a medical spa. But medical spas also offer more specialized treatments that are typically only found at a dermatology or plastic surgery clinic. Some of the more common offerings include light and laser treatments, injectables like Juvederm, Restalyne, and Botox, as well as chemical peels. As for acne treatment, you can find these at the medical spa too. Medical spas offer procedures to treat breakouts, lighten post-inflammatory hyperpigmentation, reduce scarring, and improve the overall appearance of the skin. The person who actually does your treatment depends on the treatment itself. The physician that oversees the medical spa is in charge of all procedures that fall under the medical realm. Estheticians handle the more routine day spa therapies. Expect that an esthetician, also known as a skin care therapist, will do all non-medical procedures. 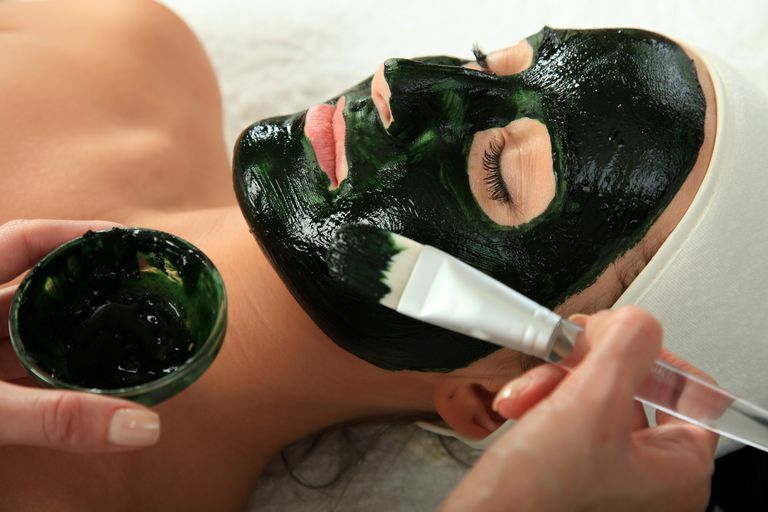 An esthetician will do all cosmetic procedures, like massage, body scrubs, wraps, and the like. Estheticians can also do certain non-invasive treatments like acne treatment facials, microdermabrasion, and ​superficial chemical peels. Although each state has its own regulations concerning medical spas, in general, all medical procedures must be performed by a physician. This means all injectables, chemical peels that target deeper layers of the skin, and light and laser treatments will be done by the doctor. Should You Go to a Medical Spa for Acne Treatment? There is no one-size-fits-all answer to this question. It really depends on your treatment goals. Do you want the option of treating your acne with professional procedures as well as standard acne medications? Does the idea of spending time in a spa-like environment appeal to you, and are you willing to pay for the experience (insurance rarely covers cosmetic procedures)? If so, a medical spa may be a good place to get help with your acne. But it's not at all necessary to visit a medical spa. You can successfully treat acne with topical and/or oral medications that you get from your regular physician or dermatologist. And, if you do happen to need an in-office treatment procedure, your dermatologist can offer that to you as well, no spa needed. Gold MH. "Personal Decisions in a Dermatology Spa." Dermatologic Clinics. 2008 Jul; 26(3):321-325. Goldman MP. "Technology Approaches to the Medical Spa: Art Plus Science Equal Rejuvenation." Dermatologic Clinics. 2008 Jul; 26(3):327-340. Matheson-Shedrick K. "Spas Unwrapped." The Journal of Medical Practice Management." 2008 Nov-Dec; 24(3):166-169. Taub AF. "Procedures Offered in the Medical Spa Environment." Dermatologic Clinics. 2008 Jul; 26(3):341-358.